Song Yu Chuan is a freshman Architecture student at Tembusu College. 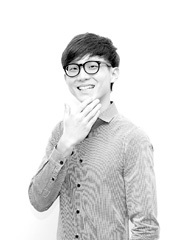 He is a singer-songwriter and member of the Composers and Authors Society of Singapore (COMPASS). In 2008 he won Best Composition and Best Performance at the National Inter-JC Chinese Songwriting Competition. In 2010 he officially entered the music industry through a long-term songwriter contract with VI Music, under Warner Chappell Music. Since then, Yu Chuan has been actively involved in the local mandopop music scene and has been featured on Playlist. Yu Chuan firmly believes that good music and good performers do not seek to impress others, but to express themselves. Yeshey Choden is a freshman Civil Engineering student at Tembusu College. She was raised and taught in an authentic Bhutanese environment where she learnt about Buddhism and own her culture and tradition. Two distinct features of the Bhutanese are their dedication and loyalty to the King and the government and their pursuit of a unique path of development: Gross National Happiness. 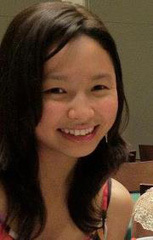 In 2011 Yeshey came to Singapore to pursue her tertiary education through the King's Scholarship. Since being in Singapore Yeshey has developed particular interests in social work and community service. 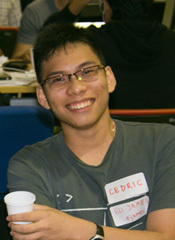 Cedric Chin (ejames) is a senior Computing student at Tembusu College. He works on web-based books. In 2006 he started Novelr.com, a site devoted to Internet fiction and in 2008 he helped create the Web Fiction Guide. His latest venture, founded in 2010, is Pandamian.com, an online publishing service. He was the youngest speaker at the Books in Browsers conference in San Francisco in 2010 and 2011, and currently contributes to the OPDS and Readium working groups. Cedric is a member of the Reading2.0 mailing list, an invitation-only listserv of book technologists maintained by Peter Brantley, founder of the Open Book Foundation.